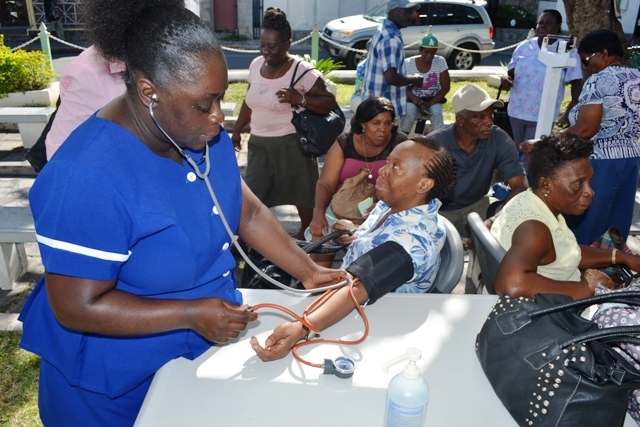 NIA CHARLESTOWN (APRIL 08, 2016) — Permanent Secretary in the Ministry of Health Nicole Slack-Liburd says that a growing number of persons on Nevis face the challenge of non-communicable diseases such as diabetes and hypertension. 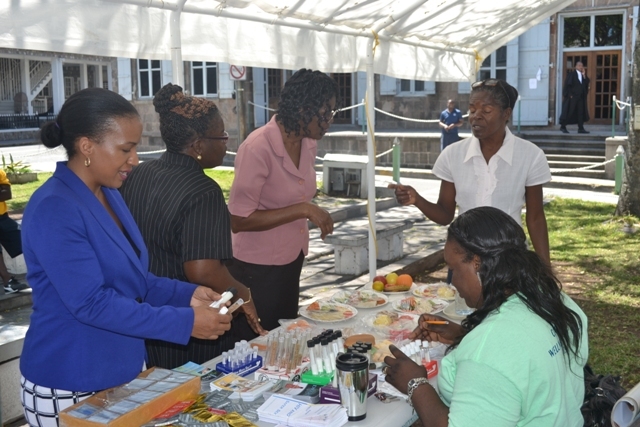 She expressed that view when she spoke to the Department of Information during the commemoration of World Health Day, on April 07, 2016, at a free health screening session at the War Memorial with the theme “Beat Diabetes.” It was hosted by the Ministry through its Health Promotion Unit. Head of the Unit Nadine Carty-Caines explained that the screening service was not only available to the public on that day but daily at all the community health centres on the island. However, the session at the War Memeorial was done as a public awareness outreach activity. She expressed hope that persons who do not know the status of their blood sugar, blood pressure number and body mass index (BMI) would have the opportunity to do so through the screening. Carty-Caines added that the results serve as indicators of the potential risk for diabetes, high blood pressure and stroke. It also allows members of the public who already know their status to receive more information on their progress to help reduce their numbers to normal range through diet, life style and activity-oriented habits. 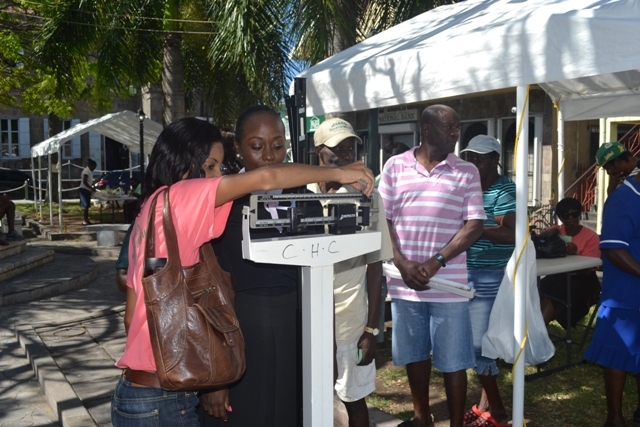 Meantime, nutritionist at the Alexandra Hospital Vernice Blackett who was also a part of the health outreach activity, said patients diagnosed with elevated blood sugar levels as a result of their diet were guided with options for a more appropriate meal pattern and information on portion size.